it seems to be dribbling down the metal bendy ribbed pipe more than anything else, what is that connected to? is the corrugated pipe the shielding for the power cable? As everything is coated with oil the best bet will be to remove the aluminum plate from the bottom, give it a good bath and the leak should present itself. 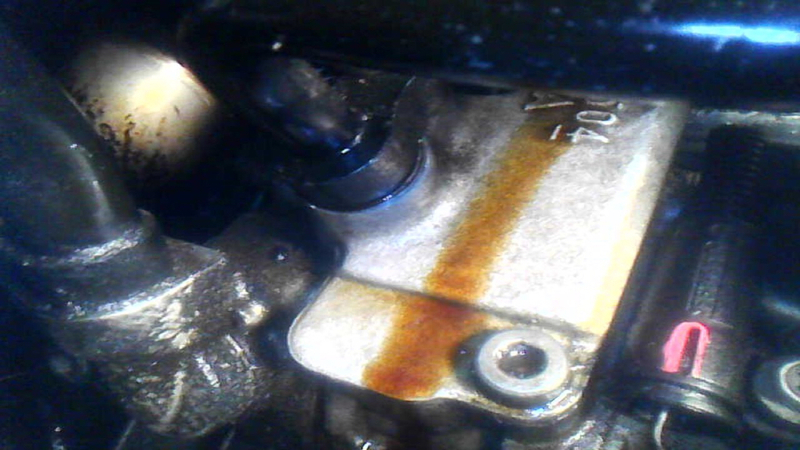 The prime suspect of such a scene is the valve cover or the chain tensioner. 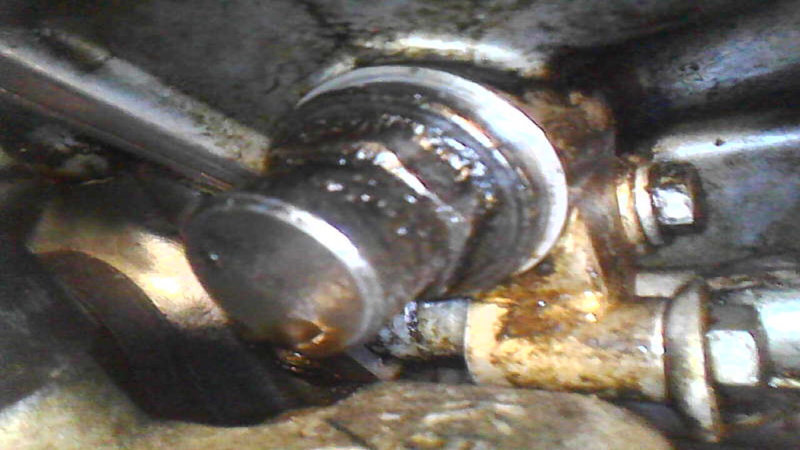 This is an aggressive leak from chain tensioner. First pic shows a drop coming off and the second shows a stream coming down whatever the part is directly below. A tiny leak would likely just get blown back from the fan and splattered everywhere collecting on whatever has the most surface area and dripping down. Clean it all off. Maybe wrap some paper around the tubes and tape it on well and drive a bit. You can investigate a spray pattern to determine a source. (don't worry paper and oil have nearly the same flash point. If paper would catch on fire the coating of oil should already have done so.) Make absolutely sure the paper doesn't touch the exhaust that does get hotter than flash point for both. Report your findings. I'm sure a majority will have the same type of leak eventually.. Right side on the M62 not sure which engine code is 4.4 N62tu? mines a m62 engine , oil leak on on right , if you look at it from the front of the car.